Do you want to get married on top of the world? 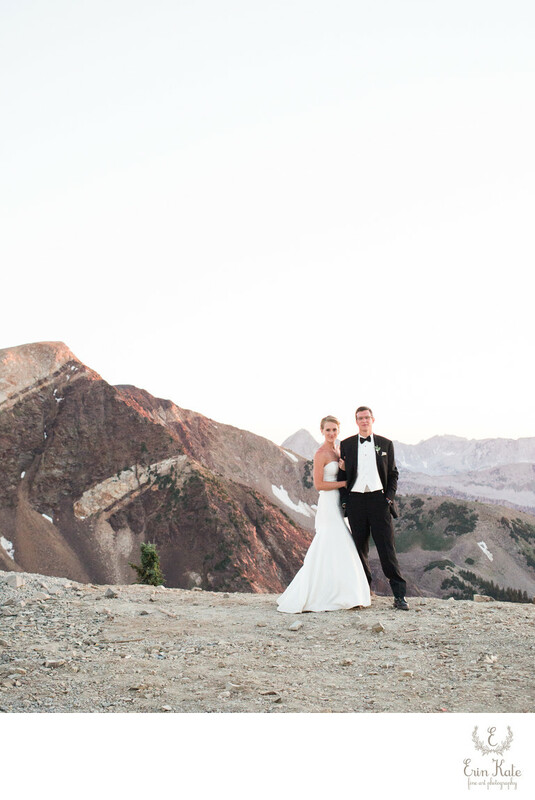 The Summit on Snowbird's Hidden Peak is an amazing new wedding venue. I was lucky enough to photograph Nicole and Justin's mountain top wedding this summer. The views were stunning. The experience amazing. Nicole and Justin are from Michigan but have spent many winters skiing at Snowbird with their families. They wanted to share one of their favorite places with their family and closest friends. Hidden Peak was a perfect spot for their celebration. The bride and groom spent the morning getting ready at Snowbird's Cliff Lodge. They opted to have all of their photographs taken before the ceremony. The peak is above the tree-line. I thought it would be nice to use the pine tree grove below for their first look. They were troopers and hiked down a steep grade to that private area with spectacular views. They were also troopers when we had to hike back up! Guests rode the Aerial Tram to the top of Hidden Peak. 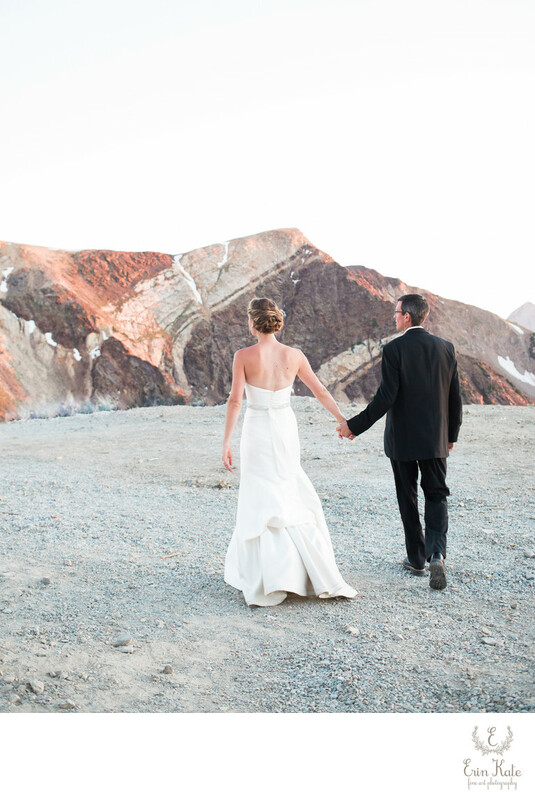 The ceremony took place on the Summit's patio overlooking Mineral Basin. Everyone dined in the Summit while enjoying 360 degree views of the Wasatch Mountains. Nicole and Justin snuck away for a few minutes to take a walk along the ridge. The sun had just set making for the most beautiful slightly warm light. The soft, pastel palette of pink and gray was simply beautiful. Hidden Peak at Snowbird is one spectacular location and I'm so lucky to have photographed there! 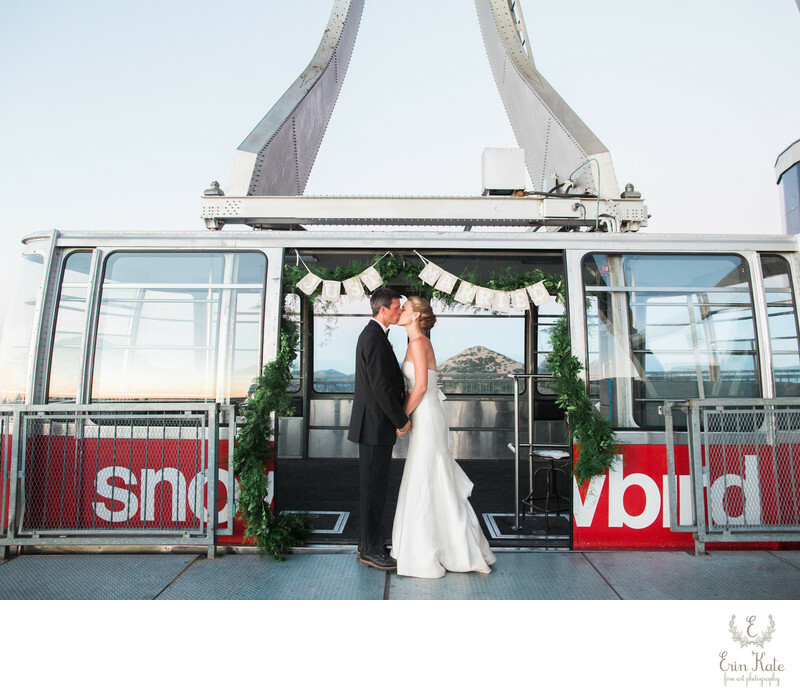 You can see another quintessential Utah ski resort wedding if you click HERE.